Tiger Woods will wear the winning design during a pro tournament stop. How often do you have an opportunity to design footwear for the best to ever do it? 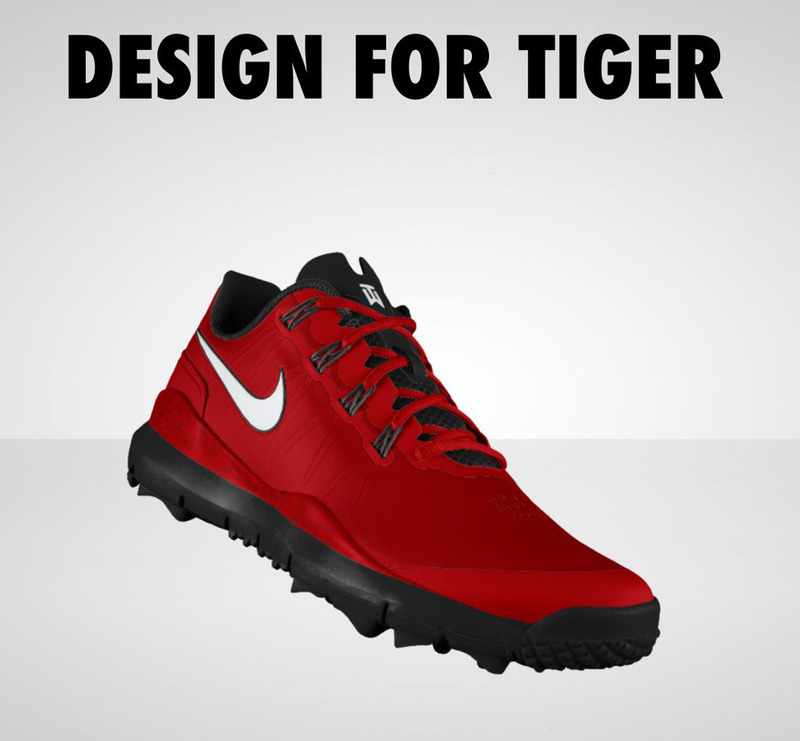 You can do just that with NIKEiD's #DESIGNFORTIGER Contest. To enter, visit NIKEiD and create a custom colorway of the Nike TW '14 for Tiger to wear on tour. To be considered, share on twitter @NIKEiD and @NikeGolf and be sure to include hash tag #DESIGNFORTIGER. The winner will receive two pairs of Nike TW '14 iD shoes, one Nike Golf shirt and the chance to have Tiger Woods wear your design during a pro tournament stop. Submissions are due by 11:59 p.m. PST on December 8, 2013. Visit gonike.me/designfortiger for more information.